Caregivers often find a loved one's loss of appetite and unintended weight loss disturbing in home, hospice, or palliative-care settings. This article offers eight way to help treat a loved one's loss of appetite by stimulating their desire to eat and helping them consume the calories and nutrients they need to stay healthy. To encourage eating, make mealtimes an opportunity to socialize. Unintentionally isolating someone who is not hungry can end up causing depression and loneliness. 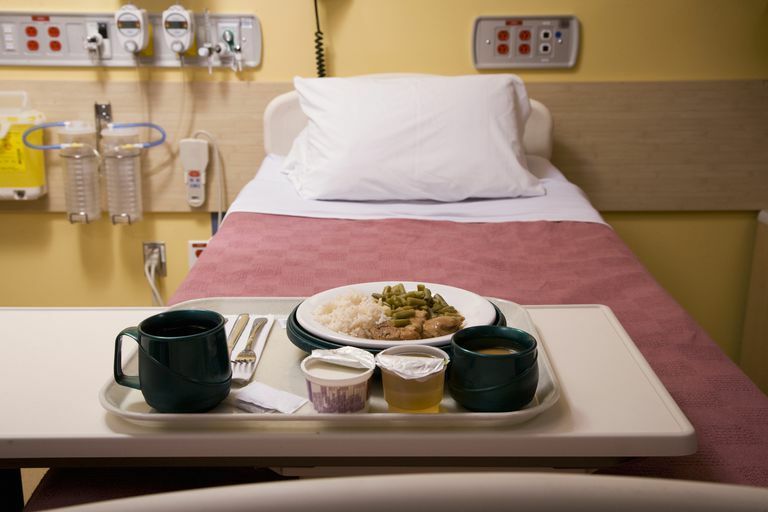 Even if eating is difficult, invite your loved one to the dinner table or recruit family members and friends to share meals at the bedside. Doing so may enhance your loved one's appetite. Always set realistic goals and celebrate every small achievement. By being supportive, you allow your loved one to be a part of the solution rather than being told what to do. People are more likely to eat if provided the foods they love. If the loss of appetite is severe, don't worry so much about feeding your loved one the "right" diet. Instead, find the foods that whet the appetite, even if it's just dessert or a plate of mashed potatoes. You can even bolster calories by serving the dessert à la mode or pouring gravy with meat bits over the potatoes. If your loved one feels like eating, find the high-calorie, high-fat foods that are most likely to tempt the taste buds. Even if chewing is not difficult, you can find soft or pureed foods that anyone can eat. Think rice pudding, shepherd's pie, scrambled eggs, tuna salad, split pea soup, biscuits and gravy, oatmeal with banana, and peanut butter and jelly on white bread. You can also make meals more tempting by using colorful foods with different textures, separated on a plate to increase the visual appeal. This is especially helpful if your loved one has impaired vision. One of the easiest and most effective ways of increasing a loved one's caloric intake is to offer smaller meal several times a day, ideally five to six every couple of hours. Oftentimes, people struggling with appetite will dread the prospect of sitting down for a big meal they know they can't eat. Snacking takes off the pressure. Even if one meal is missed, you'll still have four or five chances to meet the daily nutrition needs. Many long-term illnesses will not only affect a person's sense of taste but the sense of smell as well. To this end, steer clear of foods with strong odors or flavors, such as stinky cheeses, seafood, Brussel sprouts, boiled eggs, fried food, and offal. Cold foods generally have fewer odors and may be an appropriate option for someone who finds certain food smells nauseating. If your loved one is struggling with nausea, try bland foods such as the BRAT diet (bananas, rice, applesauce, and toast). Ginger tea is also a popular anti-nausea remedy. The same non-irritating foods can help people with mouth sores. Hard candy, popsicles, and ice chips can also help produce saliva and keep the mouth moist. There are plenty of liquid dietary supplements on the market today, such as Ensure and Boost, that can enhance the daily nutrition and help increase weight. In the past, supplements were only available in chocolate or vanilla flavor, but consumers today have a wider range of to choose from. In addition, there are gels, puddings, and bars that provide a variety of textures to help tantalizes the taste buds. While valuable as a nutritional aid, supplements should never be used as the sole (or even primary) source of daily nutrition. If dietary measures fail to reverse weight loss, ask your health provider about medications that are known to stimulate the appetite. These include Megace (megestrol acetate), Reglan (metoclopramide), and cannabinoids such as medical marijuana and Marinol (dronabinol). Doctors will usually try one or more of these medications and discontinue their use if they do not prove effective. In the United States, a growing number of states are legalizing marijuana for medicinal purposes, which may not only stimulate appetite but improve one's mood. While there is little hard evidence of their benefits, herbs, teas, and roots like these have been used for centuries to boost appetite. With that being said, naturopathic remedies can sometimes interact with your loved one's medications, so speak with your nurse or doctor before adding any such product to the treatment plan. Ferrell B.R., Coyle N. Textbook of Palliative Nursing, 2nd Edition. Oxford Press, 2006. Kinzbrunner B.M., Weinreb N.J., Policzer J.S. 20 Common Problems: End of Life Care. McGraw-Hill, 2002.